Remember me. I come here often. Please enter your registered login id. Now access eTravelSmart app on the go! 3000 + operators & 80,000+ Routes. 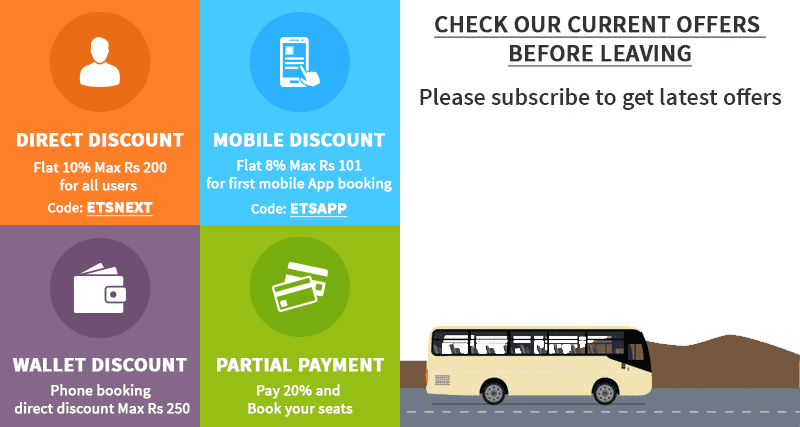 Book bus tickets and pay after 14 days. Avail Phone booking from anywhere. Pay just 20% of total ticket fare and reserve seat. ©2012-19 YK Software Solutions Pvt.Ltd.